Footsbarn's production of 'A Midsummer Night's Dream' has been performed to audiences all around the world, and across all age ranges. 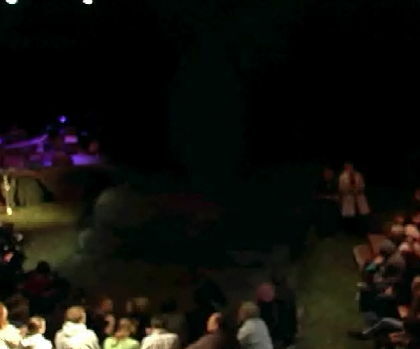 This page features responses from Footsbarn's audience at Warwick Art's Centre in June 2008, in a variety of formats (audio, video, images and text). 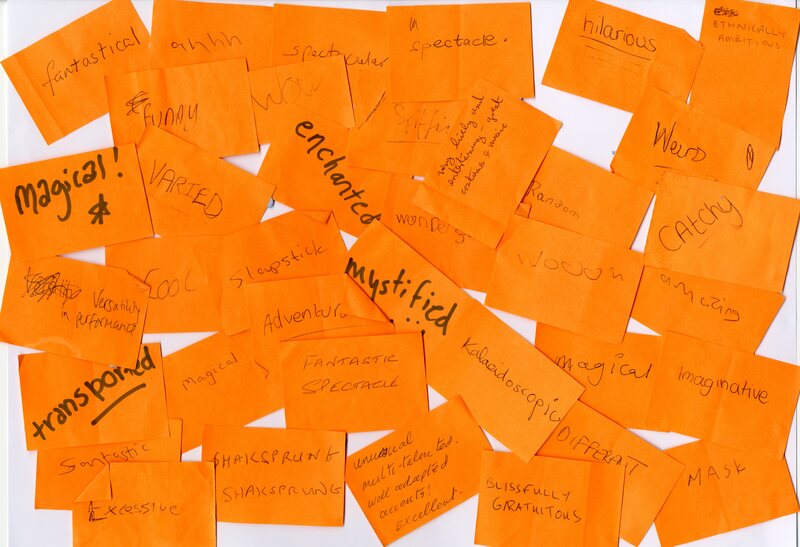 We gave some of the audience post-it notes to write one word or phrase on during the performance. We told them the word or phrase should describe their experience whilst in the tent. We collected the post it notes in after the show. Common words were 'funny', 'imaginative', 'wonderful', 'different' and 'magical'.